The first time I tried a plantain was at an El Salvadorian restaurant here in Texas. I ordered something akin to flank steak with a wonderful chimichurri sauce, which was served with refried black beans, yucca and plantain slices. The whole meal was fantastic and I especially enjoyed the lack of cheese and rice on the plate (unlike typical Tex-Mex or American Mexican fare). However, I left the restaurant particularly enamored with the plantains. It tasted slightly sweet like a banana, but had a more subtle and starchy flavor. I visited the same restaurant over the next several years, each time making sure to order the plantains, which I considered a treat. I'm not sure why I didn't attempt to make them at home. Silly me. About a month ago I FINALLY picked up a few plantains at the grocery store and let them sit on my counter for 1-2 weeks to blacken. You can eat them (so long as they're cooked) during different stages of ripeness, but I wanted them particularly ripe before pan-frying with the coconut milk so they'd be more sweet. Like my creamy pan-fried peaches, this dish will satisfy a sweet tooth without making you feel bogged down. Even better, plantains have decent amounts of vitamin A, C, potassium and fiber, so you could even eat this "dessert" for breakfast and feel great about it. A simple dairy-free and vegan dessert with super ripe sliced plantains, coconut milk, cinnamon, cardamom and pure maple syrup. Heat a cast-iron skillet to medium and add the coconut oil. While that's melting, peel the plantain and slice it in 1/4 inch rounds. When the oil and pan are warm, spread the plantain slices across the skillet in one even layer. Cook for 4-5 minutes or until the plantain forms a slightly golden crust, then flip and cook for another 3-4 minutes or so on the other side. 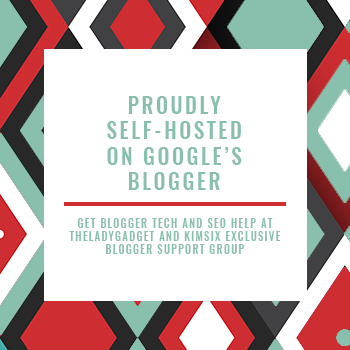 Remove from the skillet to a bowl or rimmed plate. Sprinkle cinnamon powder and cardamom powder across the slices, to taste. 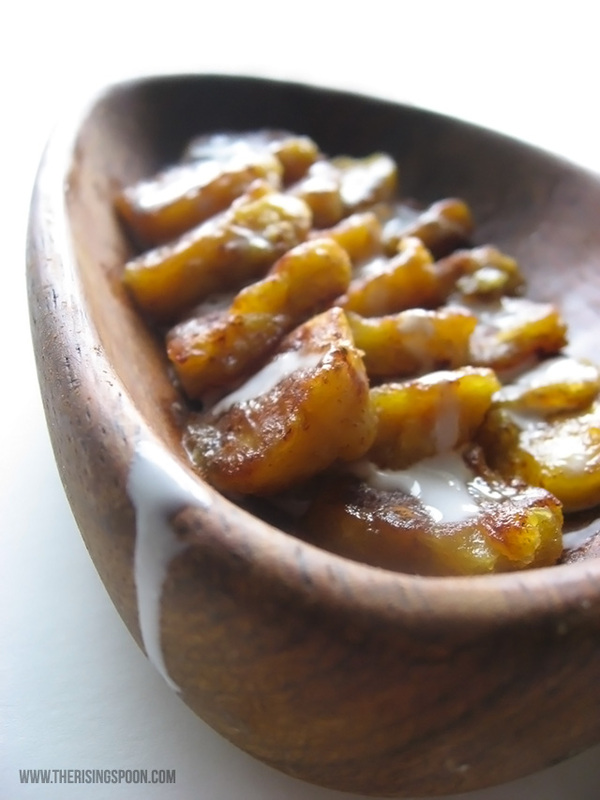 Pour coconut milk across the plantain slices and drizzle the maple syrup on top, adding more or less depending on how sweet you'd like the dish. Serve immediately or let it sit for a few minutes to let the plantain warm the coconut milk. 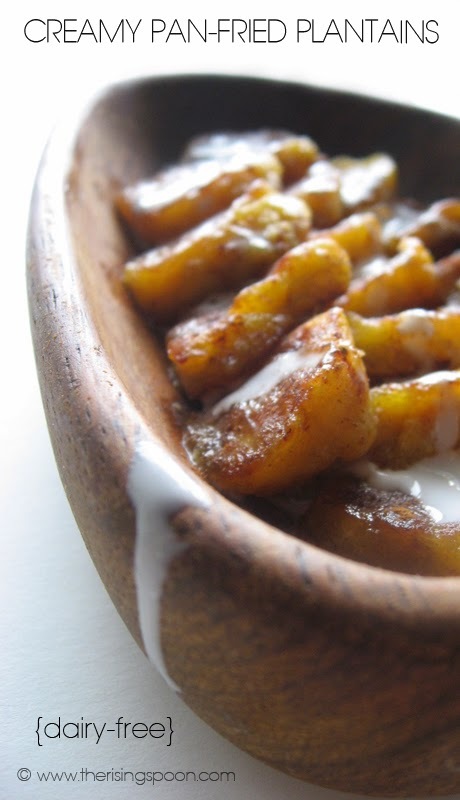 When you take a bite of the plantain, make sure to dip it in coconut milk, which will now be sweetened and spiced with cinnamon, cardamom and maple syrup. Isn't it lovely!? Not a big fan of sweet stuff? 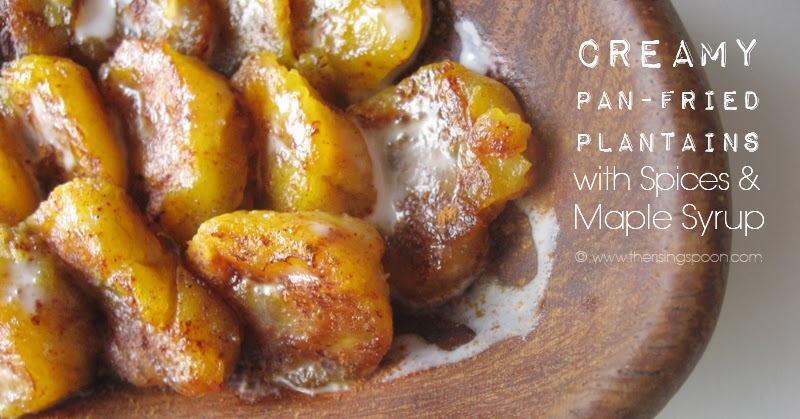 Try seasoning the plantains with savory spices and pan-frying or roasting them. They pair well with spicy meals and can act as a starchy substitute for potatoes. 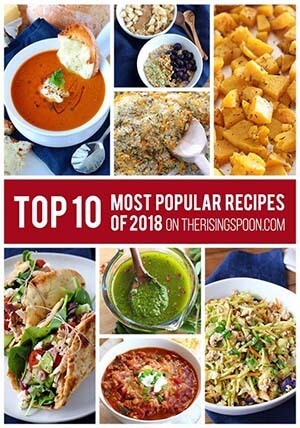 What's your favorite way to use plantain in a recipe?